The Selfie developed from a teeny phenomenon to a common trend for everybody. Whether you publish a picture on Facebook or a profile pic for a dating site, it is increasingly accepted. The perfect Selfie became an art form in itself and nowhere as important as for internet dating. 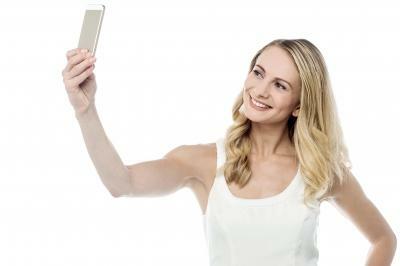 Because of this Dating-Kompass decided to collect some Do’s and Don’ts for the perfect Selfie. Flirt with the camera (but only a little). Don’t be shy, look straight into the camera. Show yourself doing things you enjoy. Highlights are Selfies at a concert, at the pool or playing soccer. Hold a drink in your Hand...and you already look like you are having fun (or would be available for all kinds of fun). Look a bit cheeky – but never arrogant, show a smile instead. Find a picture that tells a story, that tells something about you. You won’t get any attention with pictures that say nothing at all. Don’t look too cute. Everybody like a nice girl, but not one that looks plain and boring. Don’t show too much of your body. That just looks too trashy. Don’t use pictures that shows any other person beside you. That is not honest and confusing. Don’t look bored. That might be cool but nobody wants a lifeless, emotionless doll as a partner. Leave your kids out of the picture. If it’s important that your partner likes kids, you should mention it in your profile only. A too agressive „Take me now“ pose...scares away a lot of singles – and might attract the wrong one. Dating apps will get you in contact with complete strangers so with a friendly and not too raunchy picture you will get a hit. The best pictures are the ones that show a person that likes to have fun, is active and confident.